After competing at the Showplace Spring Classic, Ledges Spring Classic, and Showplace Spring Spectacular Horse Shows so far this season, the Leading Rider competition is heating up as competitors vie for the top spots. Maggie Jayne, of Elgin, IL, is currently in the lead for both the $10,000 Leading Open Jumper Rider and $5,000 Leading Professional Hunter Rider divisions. Jayne has amassed an impressive $18,300 in the jumper divisions this season and has earned a total of 443.5 points in the hunter divisions. 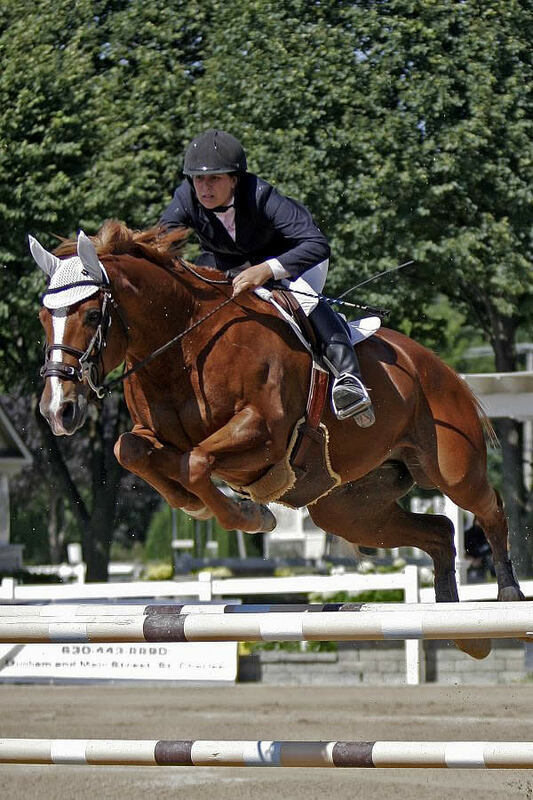 Top wins include first place in the $25,000 RocUSA Grand Prix at the Showplace Spring Classic riding Pony Lane Farm’s Caretina III, and a second place finish in the $30,000 Showplace Grand Prix at the Showplace Spring Spectacular II riding Alex Jayne’s Thomas Edison. Jayne and Thomas Edison also won the $10,000 Welcome Stake at the Showplace Spring Classic. Nick Novak is close behind in second place for the Leading Open Jumper Rider Series with $17,000 in earnings with his horse YB Blue. Novak and YB Blue finished first in the $30,000 Showplace Grand Prix at the Showplace Spring Spectacular III and also earned the second place prize in the $25,000 Tapestry Farm Grand Prix at the Ledge Spring Classic earlier in the year. Novak’s main goal this season is to finish in the top three of the Leading Rider Standings, and he will be competing at Lamplight and Ledges throughout the summer to achieve that goal. Moving up into third place in the open jumper standings following her first grand prix victory was rider Denise Wilson of Oconomowoc, WI. Wilson won the $30,000 Showplace Grand Prix at the Spring Spectacular I riding Life is Life 15, and currently has $12,000 in prize money earned for the season. Wilson has many talented horses and will continue to compete throughout the summer to remain at the top of the standings. 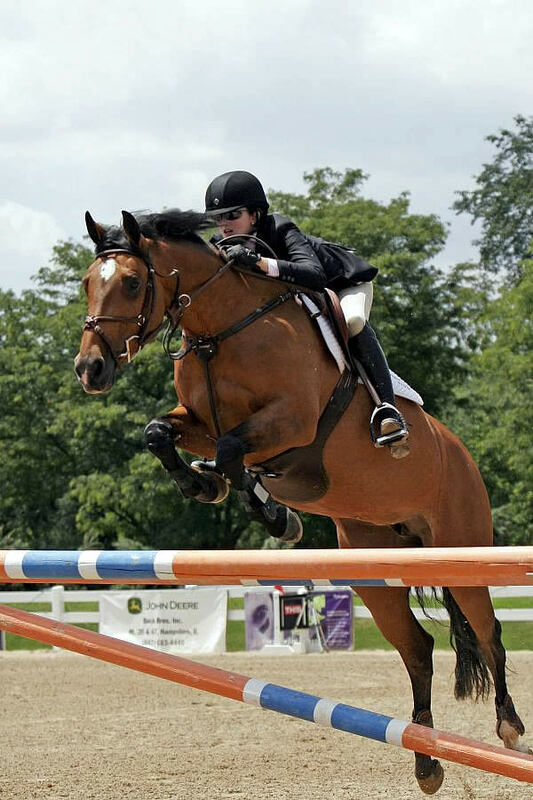 Another rider who is dominating in both the hunter and jumper divisions is Lisa Goldman, of Hawthorn Woods, IL. Goldman is well ahead in first place for the $10,000 Leading Junior/Amateur-Owner Jumper Rider Standings with $15,700 earned. Goldman and her mount Morocco have been on a winning streak recently, topping all three of the High Junior/Amateur-Owner Jumper Classics during the Showplace Spring Spectacular Horse Shows. Goldman and Centurion B won the High Classic at the Showplace Spring Classic and finished second in the High Classics at both the Ledges Spring Classic and Showplace Spring Spectacular II. In the hunter divisions, Goldman is also in the lead with 109.5 points earned in the $5,000 Leading Amateur-Owner Rider standings after top wins with her mount Ruben. Sitting in second place in the $10,000 Leading Junior/Amateur Owner Jumper Rider Standings is Nora Laue with $6,100 earned. Among other top finishes, Laue rode Goldman’s horse Fontaine to a big win in the $7,500 Low Junior/Amateur-Owner Jumper Classic during the Showplace Spring Spectacular II. Laura Linback currently sits in third place with $4,900 in prize money. Many of Showplace Productions’ top competitors are also leading in the remaining jumper divisions. Alissa Kinsey is leading the $7,500 Leading Children’s/Adult Jumper Rider standings with Marshall Reed and Barbara Ruziska close behind in second and third respectively. Samantha Wagner is in the lead for the $2,500 Leading Modified Child/Adult Jumper Rider bonus, while Samantha Holt and Megan Risko-Mathews lead in the Low Children’s and Adult Jumper divisions. In the $5,000 Leading Professional Hunter Rider Standings Jodi Vazquez follows Maggie Jayne’s 443.5 points with her 315 points for second place. Meagan Murray is currently sitting in third with 236 points earned. Other leaders in the hunter divisions include: Kelsey Thatcher with 227 points for the $5,000 Leading Junior Rider; Caitlin Boyle with 146 points for the $5,000 Leading Children’s Rider; Lisa Williamson with 133 points for the $5,000 Leading Amateur Adult Rider; and Marisa Malevitis with 138.5 points for the $2,500 Leading Pony Rider. Qualifying classes for the $60,000 Showplace Leading Rider Series will continue with the Showplace Summertime ‘AA’ Horse Show at Ledges, which will begin on Tuesday, July 6, 2010. All divisions will conclude by Saturday, July 10, and a very special Derby Day will follow on Sunday, July 11, at Tapestry Farm in Bristol, Wisconsin. For further information on Showplace Productions and the Showplace Leading Rider Series please visit www.showplaceproductions.com.